Rallying and Estonians is a combination that has been working successfully for decades. 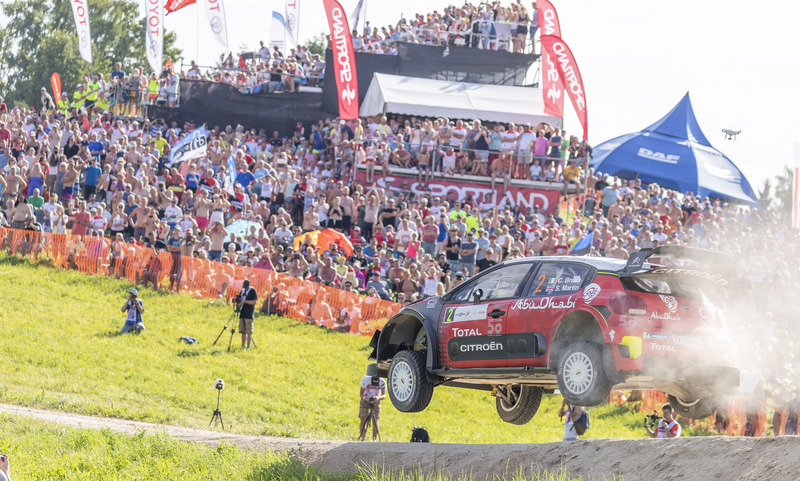 In 2019, Estonia is experiencing the peak of international success – it is true that Ott Tänak and Martin Järveoja are at the absolute top of the World Rally Championship. So, it is no wonder that the next world's best rally will take place in Estonia, as the organisers of Shell Helix Rally Estonia have precisely such ambitious plans, since this event is the first official WRC (WW rally series) promotion rally to be organised this year. The competition will take place on the picturesque roads of Tartu, Otepää, Elva, and Kanepi between 12 and 14 July. What does the official WRC promotion rally mean? To put it simply, it is a reduced copy of the WRC round. All of the components specific to the WRC series round are available, and in cooperation of the WRC series promoter, all four teams who participate in the WW series have been invited. This means that the probability of seeing Estonia's tops in the world, including the last year's winners, Ott Tänak and Martin Järveoja, is high. What is more, Estonia is renowned for its innovativeness. To make one's rally the best in the world, it is necessary to use new and innovative solutions that can be definitely seen in different rally competitions of the world in the future. For the spectators, life has been made extremely comfortable – safe and attractive large viewing areas equipped with everything that is needed. Yes, everything that is needed starting with food and beverages and ending with the most famous performers in Estonia. The rally competition can be watched live on large LED screens, there will also be activities for children. And, of course, the world's best rally drivers, conquering the curves and flying high – they are also present! After a fun day full of rallying, you can spend time with your friends or family by sitting in a sauna or swimming in some lake in southern Estonia. The city centre of Tartu will become a major entertainment centre this weekend, where you can visit AutoExpo to see technology, attend concerts and engage in various entertainment activities. There will be one speed test on both Elva and Tartu streets. The opening ceremony and celebration of the winners of the rally at Tartu Town Hall Square is an event on its own that will be the main topic of discussion in the rally world. The line of the winners of Rally Estonia is impressive, including the names of Markko Märtin, Mads Östberg, Aleksei Lukjanuk, and Ott Tänak, of course. See you at Shell Helix Rally Estonia already during 12–14 July!